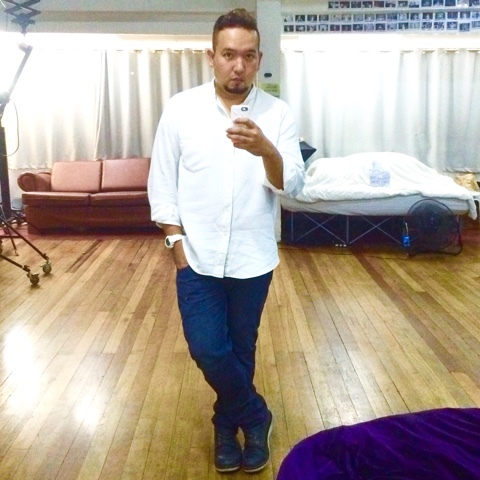 I've been on a shopping spree lately in Lazada, Zalora and EBAY because this is the transition into another season. This means, that most of the Fall Winter collection pieces that you've probably seen quite expensive in the past is probably on sale. I'm addicted to shoes, shirts and things that are not usually seen in malls. I'd rather do online shopping because it's very troublesome to go to these establishments since they're a little far from where I live. What's good is that these online merchants deliver everything to your doorstep so you don't have to pay for gas or spend a fortune buying food in restaurants because that's basically what you do inside these malls. I used to shop in the different websites in the past and don't get anything in return, until I discovered ShopBack. Have you heard of them? The place has got about 500 merchants on their site. It would be a better deal if you're new and this is your first time to register on the shopping websites because they apparently have bigger cash back percentage if you just signed up. 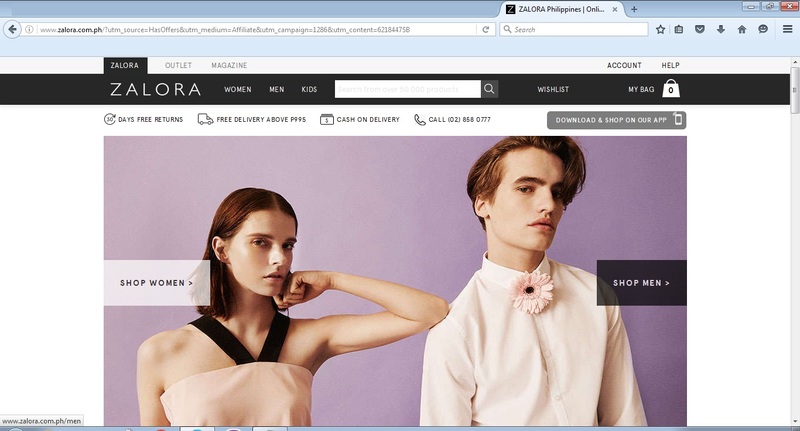 Zalora for example gives 12% which is huge if you think about it. If you're an existing Zalora shopper, the cash back amount is around 5% so it really isn't that bad if you're getting high ticket items as you'll get returns. You can enjoy up to 4% cashback from Lazada through ShopBack with just a few clicks. Sometimes, they even give you perks (in form of MORE discounts) on top of the cash back you'll get from Shop Back (unless stated otherwise). So in a nutshell, you're not only getting your money's worth, you're getting money back because of it. You just have to shop the usual way when you're already on their website. You can start and look at all the best deals here. Once that you've made the payment on their site, your automatically get your cash back will be automatically added onto your Shop Back account. You just have to wait for a few days. Once that you have this amount into redeemable status, you can easily transfer the amount into your local bank account or Paypal. It's that easy. Now you don't have to go to the mall and walk countless hours just to find that perfect shirt, shoe or accessory. You can also save a ton of money now that you've got ShopBack added to your regular online shopping regimen. I can't wait to have my shoes delivered in a few days and the cash I earned back just because I did ShopBack! 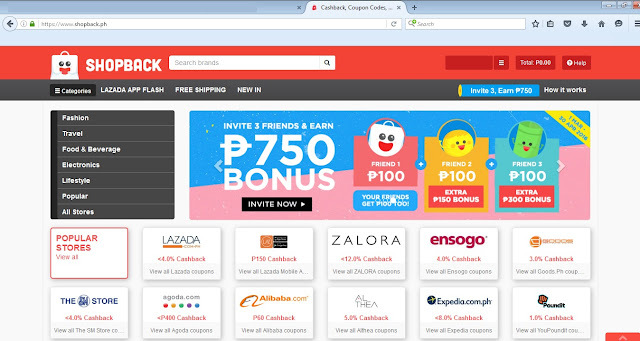 Get discounts and cashback through ShopBack now!